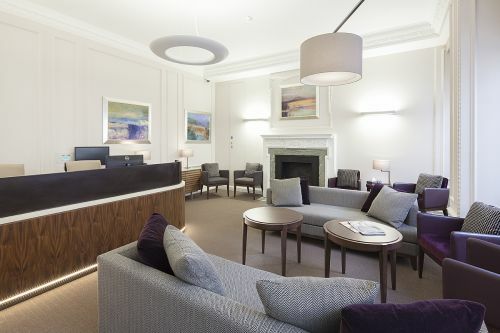 The hugely successful ‘Leaders in Oncology Care’ brand has been transposed to a new setting. 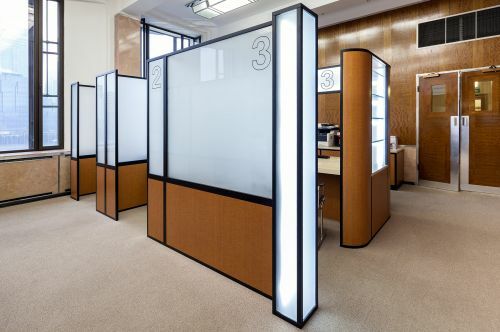 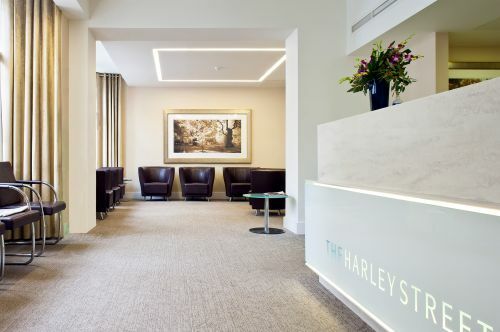 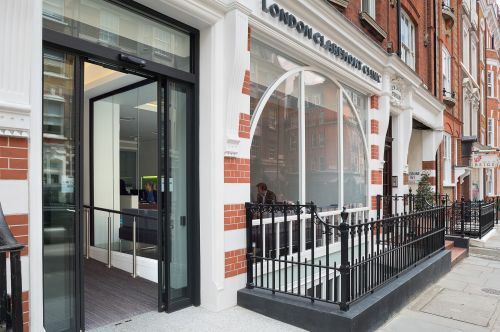 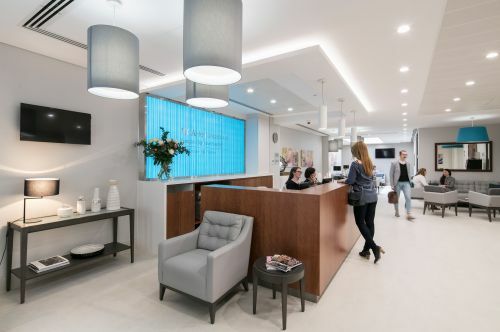 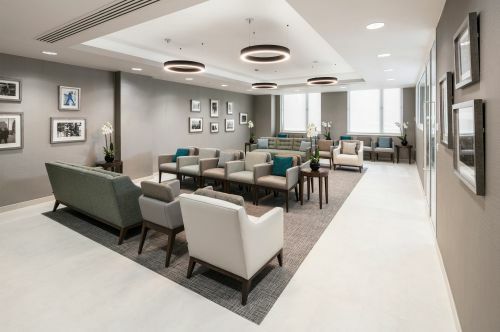 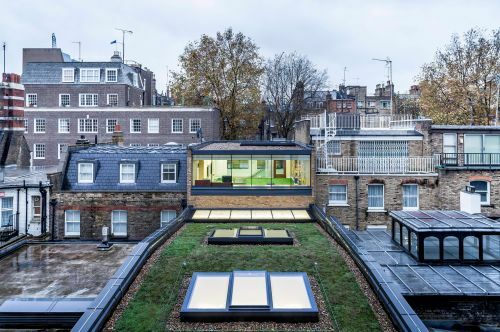 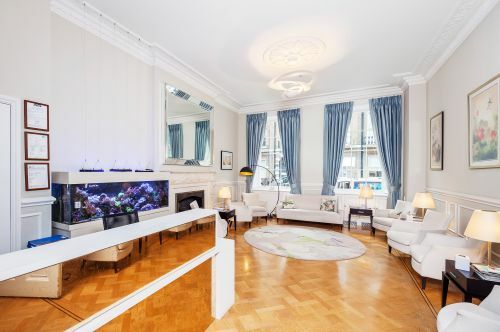 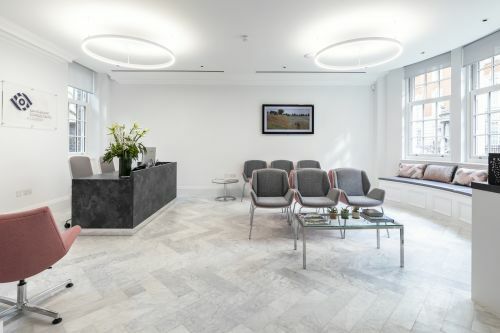 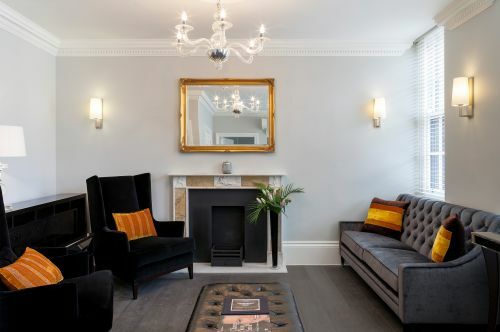 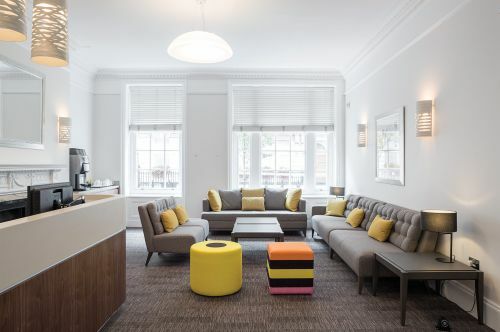 Typically synonymous with grand refurbished period properties on Harley Street, this syndicate required the LOC concept to be delivered in a very modern setting. 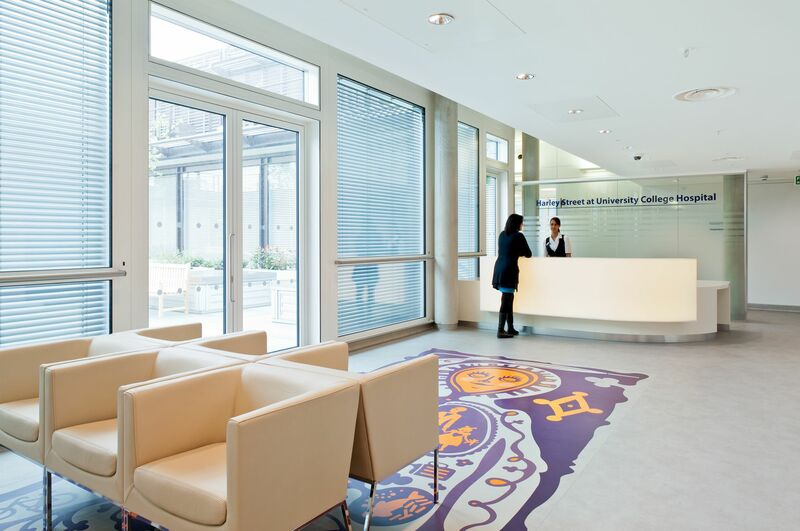 The UCLH Macmillan building was completed in 2012. 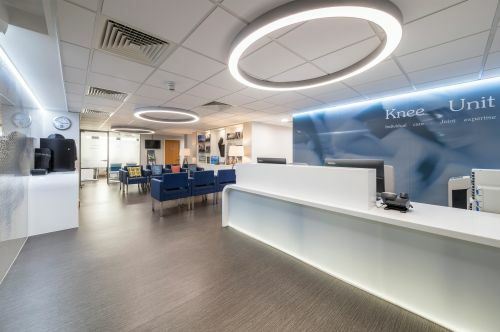 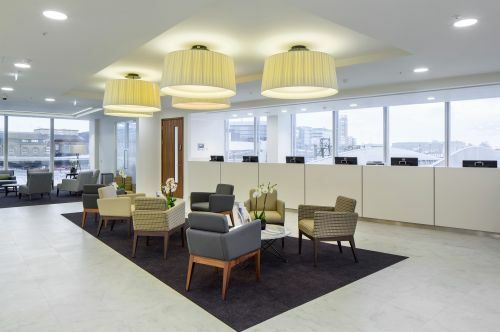 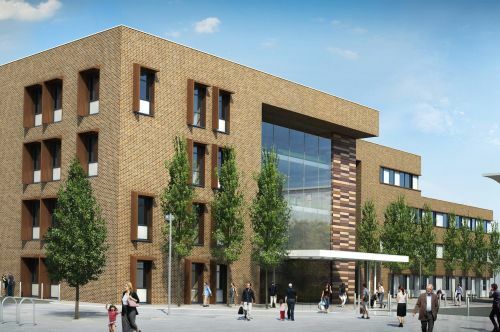 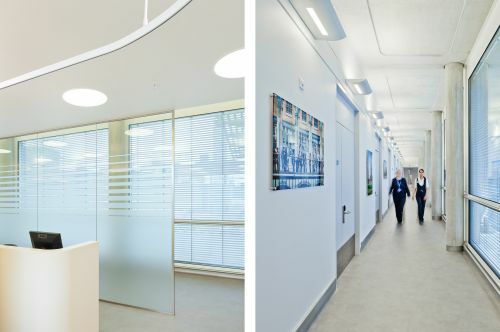 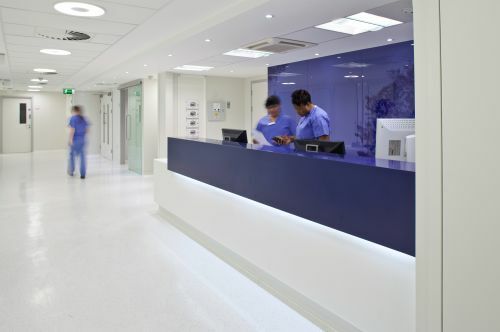 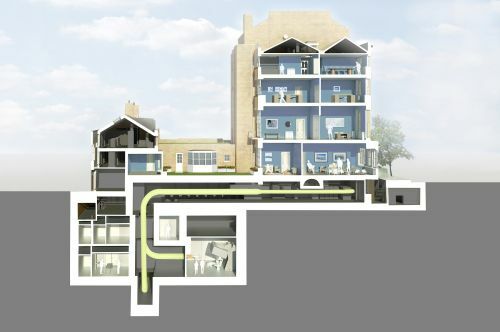 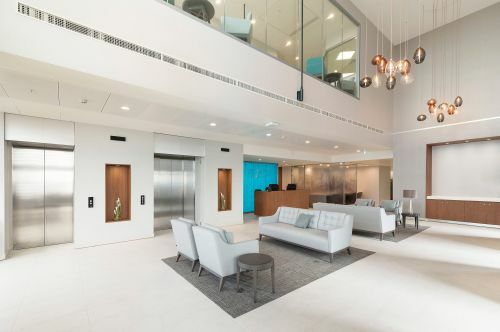 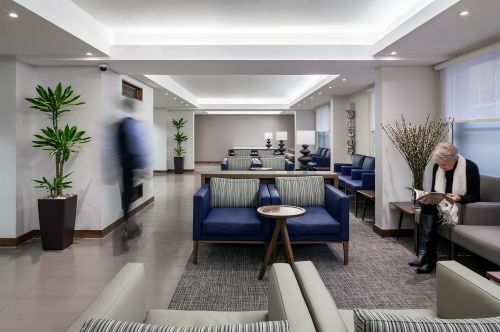 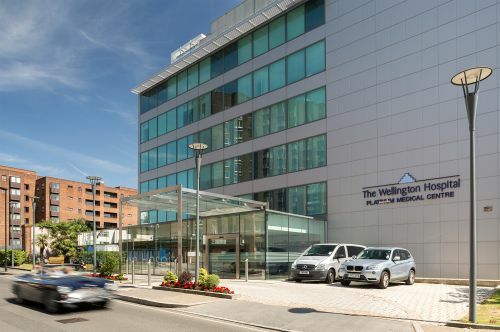 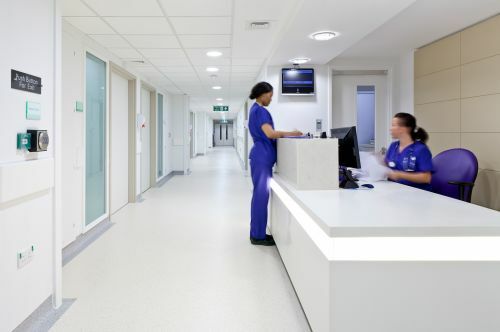 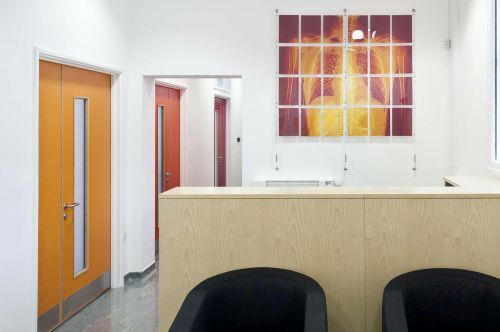 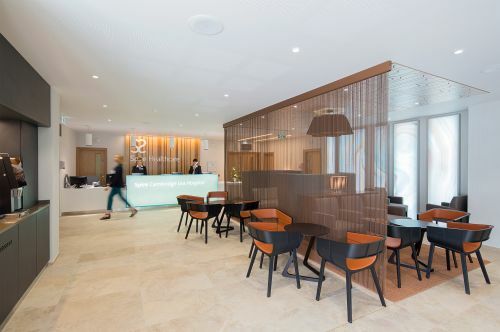 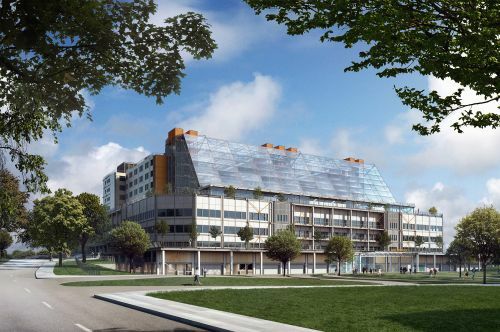 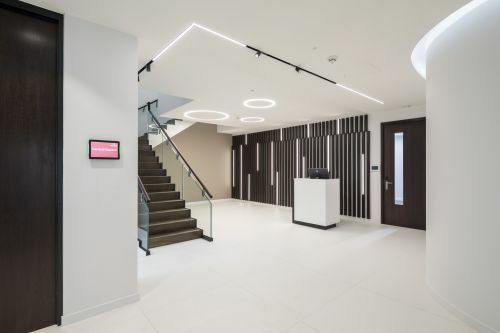 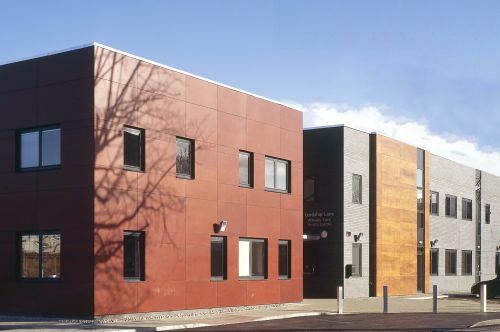 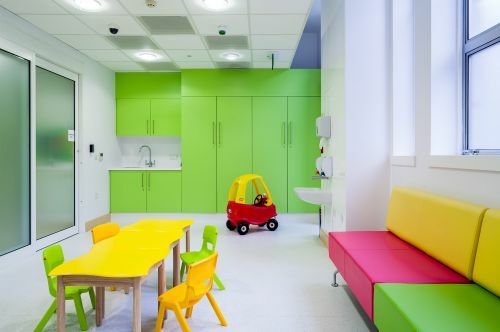 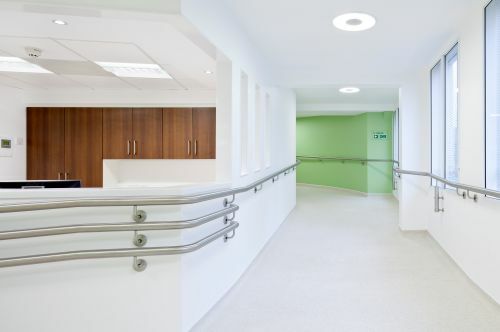 The fit-out of the 5th floor was then designed to provide a distinctive private patient chemotherapy facility. 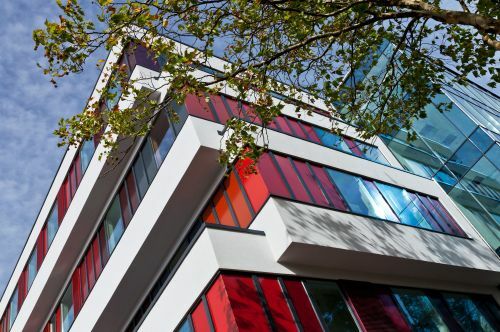 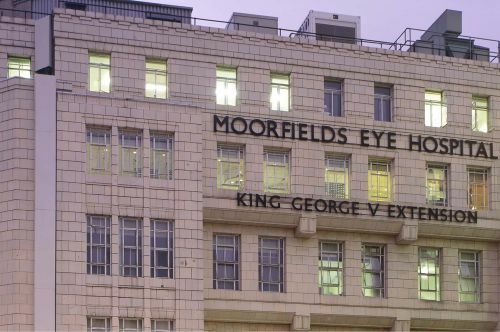 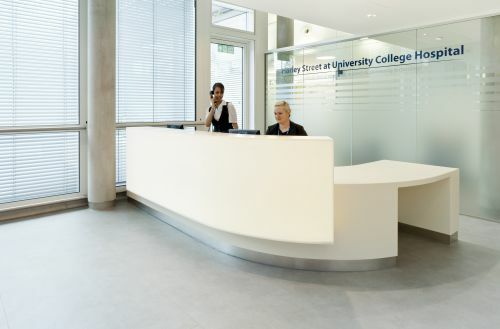 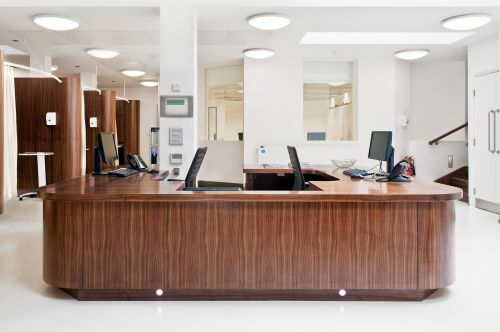 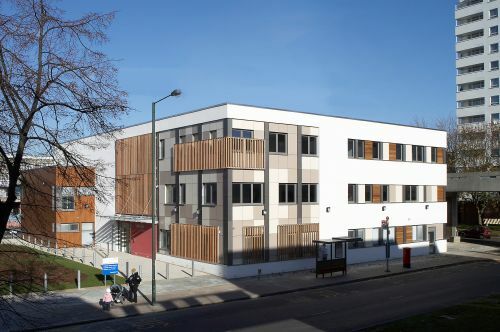 Finishes harmonise with the base-build whilst the detailing and form of bespoke joinery take their cue from the Sonnemann Toon designed LOC facilities on Harley Street. 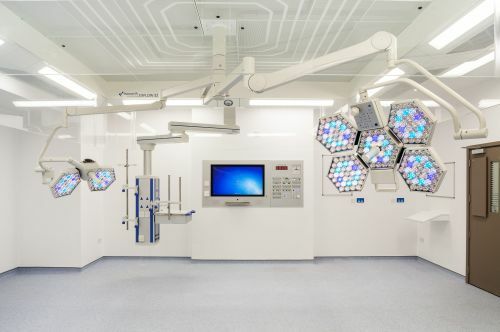 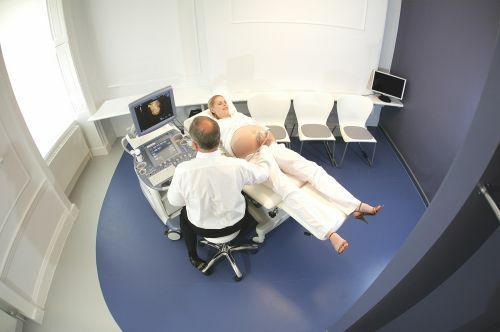 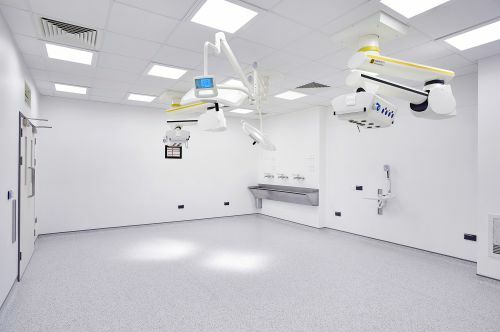 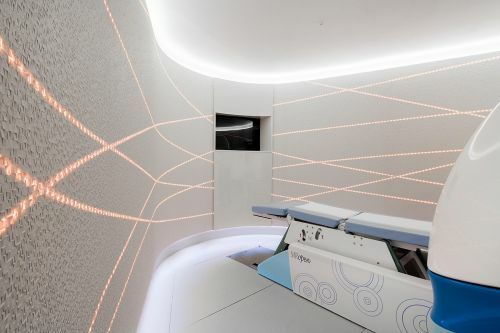 The patient bay ‘pods’ allow medical supplies and equipment to be hidden away. 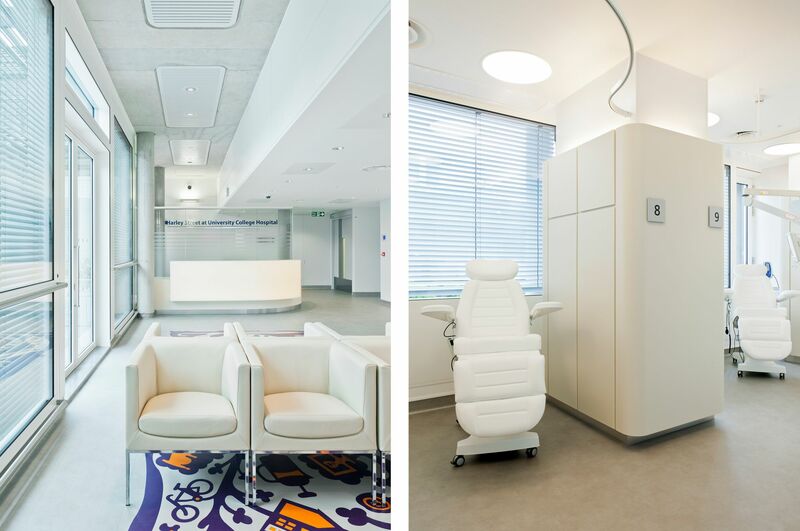 Our patients can relax more easily in the clutter free space. 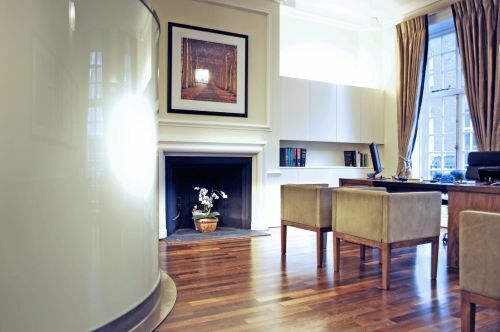 The overall ambiance is calm and sophisticated.